As much as I learn, I’ll always be mesmerised by China. It didn’t take long for the country to become the target of so much curiosity. 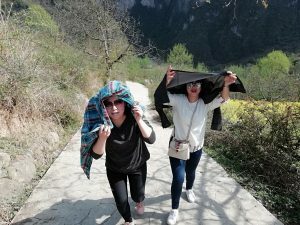 A distinctive culture with a great ancient history, a dramatic recent past and an exciting future, the decision to spend a year in China came easily. 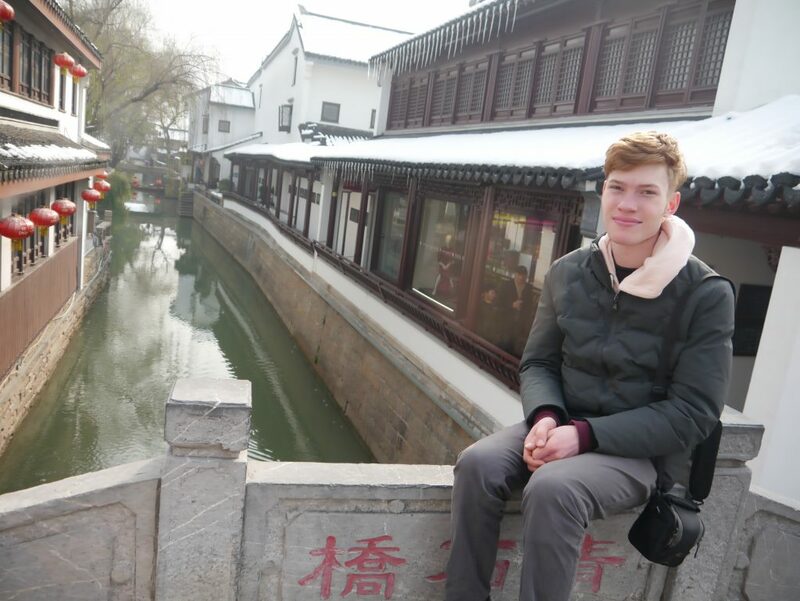 Just having finished my A Levels, I looked for a foothold in this amazing country, somewhere to spend the year which might offer little of tourist attractions but a lot of the substance of Chinese culture. 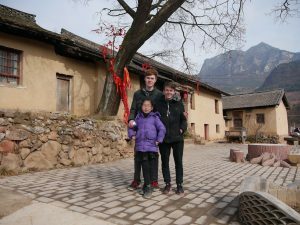 Finding my way in through the charity Project Trust, I got a volunteer position teaching English in Huixian, a county town of 60,000 in Gansu, the country’s poorest province that straddles China’s northwest. This has allowed me to view China from the countryside out as many Chinese people do. 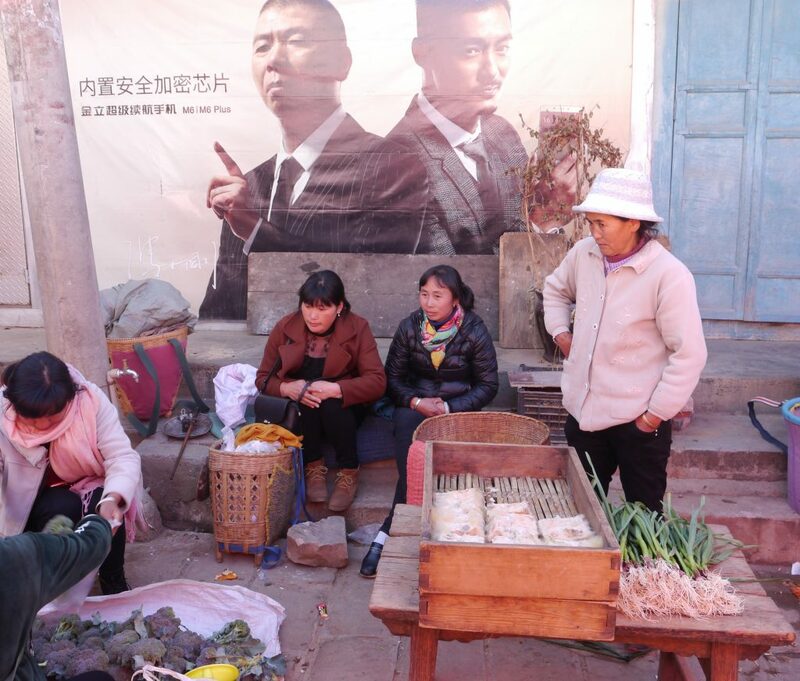 Barely several decades ago most Chinese were still peasant farmers living village lives. Now people study hard to gain a place in the cities, yet most still see themselves as people of small, unknown places like Huixian. Among them are the people who have been my friends and colleagues for this year and have given me a typically Chinese welcome, generous beyond all expectations, to the extent that it is very difficult to live an ordinary Chinese life! My teaching partner and I are the only foreigners in this county that stretches for two hours’ drive from north to south. Few people speak English well as a result, making the use of Chinese a day-to-day necessity. I couldn’t have hoped for more: this is a language unlike any I’ve studied before. Imbued with the values and realities of the society behind it, Chinese is so intriguing that it’s hard to put down. Every conversation is a chance to hear again those new words that I picked up from yesterday’s chapter, magazine article or TV subtitle, to decipher with the help of locals the finer details of how they’re used. It’s a sensitivity to these subtleties that gives you the yugan or ‘feel for the language’ as the Chinese say. And it’s that memory of the moment when you first use a word that makes it stick in your mind for good. 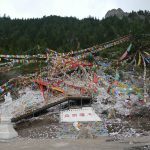 Thanks to the John Speak Trust, I have had support beyond my basic living allowance which, besides helping me to cope with living costs, has given me the financial freedom to travel widely within China. 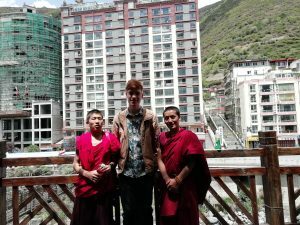 I’ve gone from the global supercity of Shanghai (the name, ‘on the sea’, says it all), to Barkam in Tibetan Sichuan, where women in traditional clothing and Tibetan monks ever loyal to the Dalai Lama walk the streets. Out on the road and at home in Huixian, it would have been a different year without Chinese running through it. Working on monthly reports for John Speak has acted as an impetus for me to put my observations of life in this intriguing country into its own language. My thanks go out to all at John Speak for helping to support me over such a fun and meaningful year overseas – recommended for all who want to see the world from a different angle.